In addition to the myriad labels attached to candidate for president Barack Obama in 2008 – other labels seemed to have failed or made no difference – he was anointed, christened and crowned the Socialist. He’s been wearing that crown ever since. T-shirts, cups, caps, pens, key chains, memorabilia, etc. with the Socialist label serve as reminders to everyone. 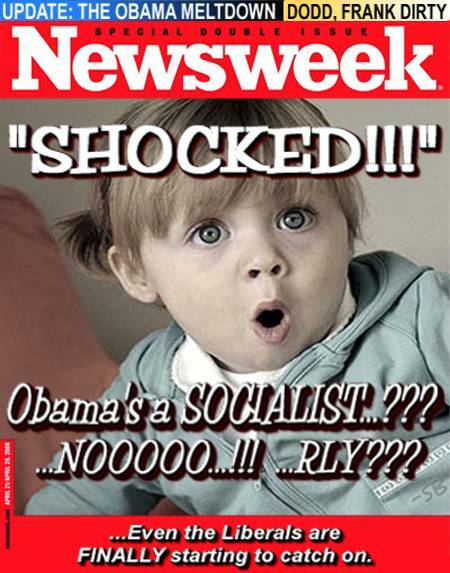 Rhetoric regarding “Socialist Approach” has intensified with Obama’s election to the highest office in 2008, and even more so with his re-election in 2012. In fact, this is a refrain that’s sung more often than the national anthem. A little over two weeks ago, the “New Republic” publication engaged into an insulting rant over Obama Socialism approach to governing. Obama is not alone. Since 2011, courtesy of Ron Paul, Elizabeth Warren, a US Senator for Massachusetts has also been labeled a Socialist. – That should give some solace to Obama, should it not? – Lately however, the US Senator from Massachusetts has been barraged by insinuations, comments and outright insults of being a Socialist. She’s just been added to the short, short list of Socialists in Washington. The reaction to the Socialist label is somewhat predictable. Those who use it to label others (The Labelers) mean it in a very derogatory way; those who are labeled (The Labelees) can not embrace the idea either. How can they? Obama’s reaction to the label according to Huffington Post “President Barack Obama rejected the notion that his policies rang of socialism …, arguing that his platform was more similar to a “moderate Republican” of the 1980s and that most Americans realized that.” US Senator Elizabeth Warren’s reaction was similar to Obama’s; Ms. Warren doesn’t consider herself a Socialist. What’s all the fuss about? Sadly, those who use the label here in the United States are either dumb, uninformed, ill-educated or downright ignorant. That would not be a problem because there are so few of them but unfortunately those who hear it, believe it and repeat it – as if it were true – are dragging themselves and their offspring into the “dark alley of life” where ignorance is bred. Socialism is a society in which major industries are owned & controlled by the government, something that does not and cannot exist here in the United States. DO NOT confuse regulations with control. So, why the “Labelers” keep repeating it? They rely on their audience’s lack of education and limited knowledge to spread and perpetuate the idea. That’s very bad for society. That’s very bad for the country. Education is the engine of any country; knowledge is the lubricant that keeps the engine running properly. A lack of either or both spells disaster for the country. Irrespective of political affiliation, ignorance cannot be used as a tool in discussions and debates or a tool for change. What would you say to someone who insists on repeating that?